The festival, presented by the Center for Asian American Media  (CAAM), includes opening night doc Linsanity  by San Francisco native Evan Jackson Leong. The after party takes place at the Asian Art Museum, where there will be food, drinks, good company and plenty of terracotta warriors  to check out. The closing night film, Memories to Light , showcases Asian American home movies spanning six decades. Whether on 8mm or Super-8, the videos show the collective experiences of everyday Asian Americans on the big screen. * Midnight’s Children  by director Deepa Mehta based on the Salman Rushdie novel. 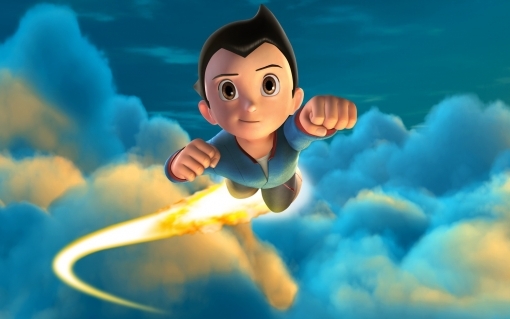 * Astro Boy , the lovable robot boy from Japan, was the first official anime released in the US. The special exhibition  will feature rare TV episodes, manga, video cames, and the film. * The Monkey King: Uproar in Heaven , an animated film, will be the first 3D film shown at the festival. Based on the story of a monkey key in Journey to the West. * The CAAM original web series, Nice Girls Crew , will premiere its second season at the festival, produced by Festival and Exhibitions Director Christine Kwon and director Tanuj Chopra. * Two documentaries, Let’s Play Music! 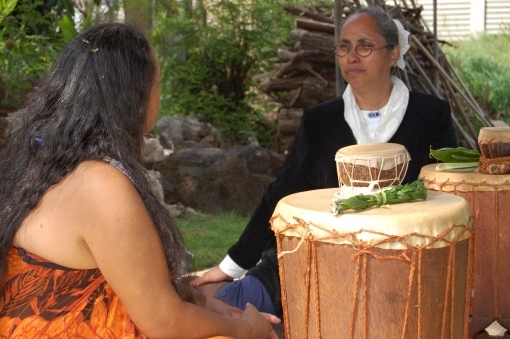 Slack Key with Cyril Pahiniu and Friends  and E Haku Inoa: To Weave a Name , are sponsored by Pacific Islanders in Communications. * A Royston Tan retrospective, featuring several of Singaporean filmmaker Tan’s works -- 15 , 881  and Old Romances  -- and a conversation with filmmaker Valerie Soe and Tan. * Memory of Forgotten War , a documentary produced by Deann Borshay Liem and Ramsay Liem, about the Korean War and its aftermath. The screening will be followed by a discussion about the "unknown war" with distinguished academics, artists, and community leaders. * Late Summer , Ernie Park's narrative that features an African American cast and takes place in the American South. * Dosa Hunt , a film about a group of people searching for the best dosa in NYC, stars pianist Vijay Iyer, the rap group Das Racist, and others. 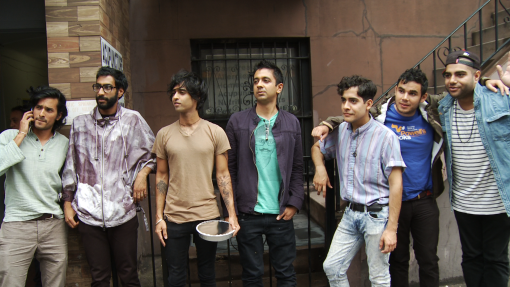 Afterwards, Indian Bastards From Hell, featuring members of Das Racist, will perform. Directions in Sound , a musical event of Asian American performers, this year features Dengue Fever with lead singer Chhom Nimol, and Jhameel. DJ Vinroc will be spinning. * Thy Tran of the Asian Culinary Forum curates two “tasting salons” -- (Bitter)sweet: the Art of Tasting  featuring chocolatier Wendy Lieu (Socola) and Lisa Murphy (Sosu), and Mixing Masala  featuring Paawan Kothari of SF’s The Chai Cart. * Ready, Set, Pitch! A selected group of media producers will pitch their idea to a jury of professionals in front of a live audience. The winning pitch receives a CAAM challenge grant. * There will also be many short films  curated into themed programs such as On Bodies  and Queer Convergence , that includes a mix of experiences and new filmmakers -- sure to delight, inspire and even puzzle. Enjoy. For information and tickets, go to the CAAMfest site . Film venues include the New People Cinema and Sundance Kabuki Cinema in San Francisco’s Japantown, the Pacific Film Archive in Berkeley, the Castro Theatre in the Castro, and the historic Great Star Theater in San Francisco’s Chinatown.